So I saw an announcement or two about wireless power and thought it might be time to do an update. But as I looked around and spoke with various people, I have to say… I found myself increasingly unsure and confused. A lot has happened since we last dealt with this part of the industry, and things that seemed clear once upon a time no longer seem so. So rather than doing an update, I think we need a clarifier. In the world of wireless power, there are multiple “standards,” multiple standards bodies, several approaches available, and numerous commercial players – some of which don’t limit themselves to standardized techniques. As a quick review: a couple of years ago, there was also plenty of reason for confusion – because there were three standards bodies vying for primacy: the Wireless Power Consortium (WPC), the Power Matters Alliance (PMA), and the Alliance for Wireless Power (A4WP). Since then, there has been some nominal simplification (mostly in name only) whereby the PMA and A4WP organizations merged into a single group, rebranding itself as the AirFuel Alliance. You’d think that would have reconciled some of the competing standards… but alas, no. Before the merger, the PMA had an approach and the A4WP had an approach. After the merger? Both approaches are still supported. So, with all that effort, nothing has really changed except the logos and the color scheme. Meanwhile, the WPC continues on with Qi, the oldest and most pervasive technology. When we last talked, they were working on a “resonant” (more on the terminology in a moment) version of Qi. But since then, the folks they have lined up to put chargers into their shops and cafes have told them that they’re not interested in investing in new infrastructure, so the WPC has backed off the new version. The Qi 1.2 spec includes the resonant stuff (among other things); it was released last June, and folks are designing with it, but it doesn’t feel like a priority for the WPC. The other side of that argument is that consumers themselves want better positioning flexibility than Qi allows. This is one of those things where it’s not exactly clear who the customer is, since it’s really the Starbuckses of the world that are buying the chargers for their stores. Are they going to listen to customer complaints after spending all that money? Probably not now – because I’d bet most consumers aren’t complaining, since they’re not used to even being able to have a public phone charging capability, and they probably don’t know there are other options. If other companies choose an alternative that is less restrictive, and, if consumers like that, then they might come back in and voice a preference. Would that keep them from going to Starbucks? Not clear. And if not, Starbucks (or whoever) would still have little reason to change. So “consumer preference” may or may not win the day. I’ve been madly trying to put these various approaches into buckets according to some critical characteristics. Before assigning names to buckets, let’s review some of the criteria that distinguish these standards. The following are some critical characteristics, mostly binary in that you get two choices, along with no lack of reasons why one of them (pick which one) is best. Let’s try to tease out the nuances. Inductive vs. Resonant: This is the original differentiator. It’s what was different when I first talked to WiTricity, and my coverage at the time dug into the difference. Qi was inductive; the new system from WiTricity was resonant. These days, however, the usage of the terms has become very confusing. You may even hear someone say, “In reality, they’re all resonant.” Great! What does that even mean? I have to give credit to Semtech’s Ken Moore for patiently digging into the nuance with me. I’m going to try to lay it out here as best I can. All of the approaches involve two loops: a transmitter and a receiver. The so-called “inductive” approaches place those loops in close proximity so that one can couple to the other. In my original discussions some years ago, these systems were described as involving inductance only, since mutual inductance was the main mechanism. But, apparently, that’s not really accurate; all of the systems involve an LC tank that oscillates. Here’s the key, however: at what frequency does the transmitter oscillate with respect to the receiver’s resonant frequency? The “inductive” systems specifically tune the transmitter away from that frequency. For example, in Qi systems, the resonant frequency is 100 kHz. But if you transmitted at that frequency, up so close to the receiver, you’d get enormous power and heat – so much so that it would be a safety problem. It’s like when an earthquake comes, and the s-waves happen to hit a building’s resonant frequency. It’s not pretty. So Qi transmitters are typically tuned to anywhere from 100 – 205 MHz. And they have a shut-down feature that kicks in if it detects too much power. The “resonant” approach specifically tunes the transmitter at precisely the receiver resonant frequency. Why doesn’t this burn the thing up? First of all, it’s intended to support devices placed farther away. The resonance means that it can reach farther. But what if you put it too close? Another parameter that affects coupling is the relative size of the loops. If they’re the same size, you get higher coupling. If, as in the case of the “resonant” modes, the transmitter loop is much larger than the receiver loop (think 8” charging mat vs. little phone), then the coupling is reduced. So you get this tradeoff of distance vs. coupling. “Inductive” systems tend to have on the order of 70% end-to-end efficiency; resonant systems can be anywhere in the 20% – 60%/70% range, depending on distance. The Qi “resonant” mode provides an interesting example. What happens there is that you’re allowed to tune to the 100 kHz frequency. But every device starts out in “inductive” mode, and then, if both ends can support resonance (as determined by a handshake), you move into resonant mode. This provides backwards compatibility as well as the assurance that you don’t accidentally turn a charging device into a space heater. So that’s the reason why many folks don’t like the names “inductive” and “resonant.” Nonetheless, the terms persist even in the names of some of the protocols. Closely vs. Loosely Coupled: Instead of inductive/resonant, many folks prefer to distinguish the protocols by how closely the transmitter and receiver are coupled. Approaches like Qi (the original) require millimeter proximity, which is why you have a cradle that holds the device precisely in place. Loose coupling is generally a feature of “resonant” systems, and they’re more forgiving about distance – both laterally and in the Z direction. The idea here is that you can mount the charger under a table and charge devices laid on the table, for instance. Frequency: This is a big fight. Qi operates at low frequencies – in the 100-200 kHz range. The WiTricity approach uses, instead, a high frequency – just under 7 MHz. Each says it’s better than the other. One challenge with low frequency is that metal objects like coins or keys in close proximity can overheat, although safety cutoffs detect the presence of too much power and shut off the charger to avoid an incident such as someone grabbing a coin for a toll booth and depositing some choice words at the same time. (I know… coins in a toll booth… how quaint and archaic…) The higher frequency doesn’t have that issue (although, theoretically, it could heat up the thin foil in a DVD…). But there’s talk of interference and… well, my guess is that they can both be made to work just fine. The real driving factor here is the legacy of Qi, which already has a position in the market. That said, dual- and even tri-mode approaches are available – more on those in a moment. Single- vs. Multi-Coil: We’ve seen approaches that use multiple small coils in a mat; they can detect where a phone is above it and energize only the coils at that spot. Apparently, this works better for lower frequencies; the high-frequency folks are sticking with a single coil. There are questions of efficiency (related to the above discussion), but I’m not really sure that this particular characteristic is that important (so I won’t be including it below – it’s a feature of a specific system implementation of a standard, not the standard itself). In-Band vs. Side-Band Communication: All of the approaches include a communication channel so that the device being charged can negotiate with the charger. Qi uses an in-band channel, while the high-frequency folks use Bluetooth. Phones have Bluetooth, so that shouldn’t be an issue, right? Well… what if the phone is completely out of power and you want to charge it. Except… because it’s dead, the Bluetooth isn’t working, so it can’t talk to the charger, so it won’t charge? One solution is to have a second Bluetooth radio that’s still alive when the phone is dead. (I’m assuming that the charger itself would power that radio…). That’s more expense and complexity. And yet, again with the coyness, no one is saying outright that, yes, they need a second radio – maybe it’s not needed. So, with that in place, let’s try to sort out which standard goes into which bucket. By the way, according to Semtech, Samsung has a fast-charge “dialect” of Qi, and Apple is also dabbling – their watch has an inductive-like charging feature. The whole reason for paying attention to this was the number of recent announcements in this space. It’s just hard to digest them until you get the whole industry sorted. Now that we’ve done that (hopefully), what’s new? WiTricity and ST: These two companies announced that they’ll be working together on AirFuel implementations. Semtech wireless charging platforms: Semtech may be better known, in Internet of Things circles, as the driving force behind the LoRa low-power, wide-area communication standard. But they acquired Triune Systems early in 2015 and are creating dual-mode and tri-mode chips that will support multiple standards. The dual-mode supports Qi 1.2 and AirFuel Inductive; the tri-mode (announced just over a year ago) adds AirFuel Resonant. There’s a catch, here: Qi 1.2, in addition to specifying resonance, also increased the inductive power from 5 to 15 W. So the Qi 1.2 that Semtech supports in their multi-mode chips is the 15-W version of inductive. They don’t support Qi resonant (because they’ve had no requests for that). They do support the Samsung fast-charging variant. There is some added cost for adding resonant support in the tri-mode chip; that adder is likely in the 20%-30% range. PowerByProxi modules: Just in case the situation is becoming clearer in your mind, here’s an angle that doesn’t follow any of the standards. PowerByProxi definitely sees those standards as useful for consumer equipment, where charging infrastructure will be set up all over the place. But, for industrial installations, they don’t see standards as important, since each project is custom. So they use their own proprietary technology. 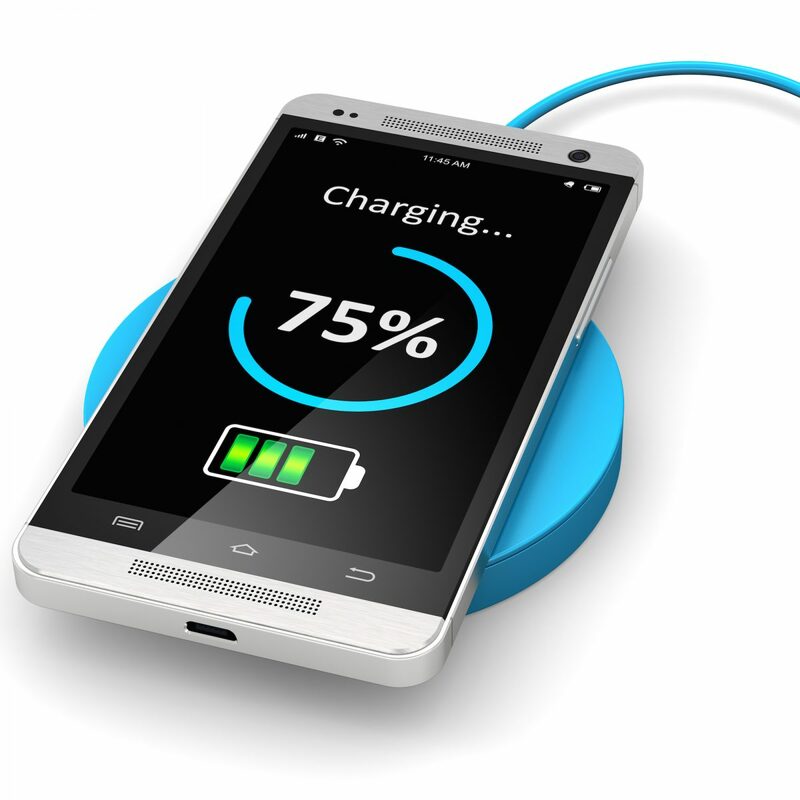 They recently introduced wireless charging modules for industrial use; they aren’t in any of the above buckets. (OK, they might share some characteristics, but we’re not privy to them). Significantly, they claim maximum end-to-end efficiency of 91%, delivering up to 100 W. Higher-power versions are in the pipeline. What do you think about the state of the wireless power industry with respect to standards and such?